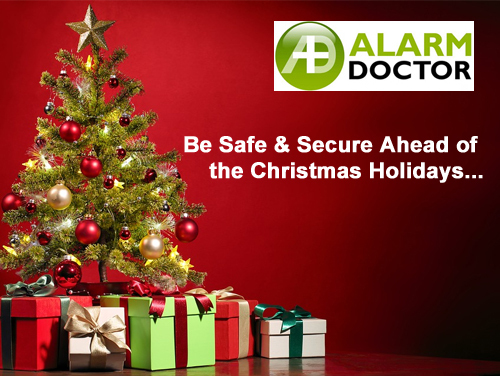 How to Keep Your Home And Business Safe & Secure Ahead of the Christmas Holidays? Everyone loves the Christmas holidays for their atmosphere of magic, happiness, and unity with kith & kin. Many people would have a plan to visit their native place or go on a long trip for some days. Before getting into holiday fever, you will more conscious about organizing the well deserved holiday, sorting the special Christmas feast, buying presents. Also, you must have keen eyes on your home and business security needs. Here are some of the protective tricks and piece of advice that helps you to have a merry and safe Christmas holiday. According to Crime Department, December is the peak month for house robberies. Many families leave their house for the holiday by forgetting about the safety precautions of the home. The first thing you have to remember is to lock the front door, even if you live in a safe neighborhood. Keep your home to appear occupied all the time, so you can turn on the light when you go out. Don’t keep the valuable things near the window. Have a neighbor or watchman to watch your house for any intruders. A Christmas tree is an ideal thing during Christmas at home. The position of the tree is important as it may bring any issues. So keep the tree away from open fires or other sources of heat. You can use the tree cradles or stands to mount the tree safely at a place. Plug off all electronic equipment from the connection and don’t overload electrical circuits. Always keep the Christmas lights out of the home while you leave. Try to replace any strings of lights with worn or broken cords or loose bulb connections. You have made decorations for the Christmas festival. While going out make sure that decorations like stockings and tree branches are placed at a safe distance from the blazing fire. This is because keeping a Christmas tree near the fireplace is highly combustible. It is better to install a smoke alarm in your house, so it can intimate the fire on home to others. When it comes for business, there are a number of factors to consider in terms of security. A robust security system such as burglary, CCTV camera, intrusion detector helps you with peace of mind. Before going on a trip by leaving your business, make sure that cameras are working well. Place the camera in a plain view and keep watching the footage for every small interval of time. Close off all the doors of the office and ensure high security to the place. If you have any doubt regarding surveillance, you can inform to the security or police for safety. Place the money bags or expensive items out of sight and protect them from criminals. It is better to deposit the money in a bank if it is in a large amount and keep the valuable things in the locker. Thus, these are some of the ways to keep your home and business safe during the Christmas holidays.